A classic shift dress with t-shirt sleeves and a keyhole neckline requested by customer Marie to serve as a wardrobe staple for the days when you seek comfort and don't want to worry about your tummy after lunch. 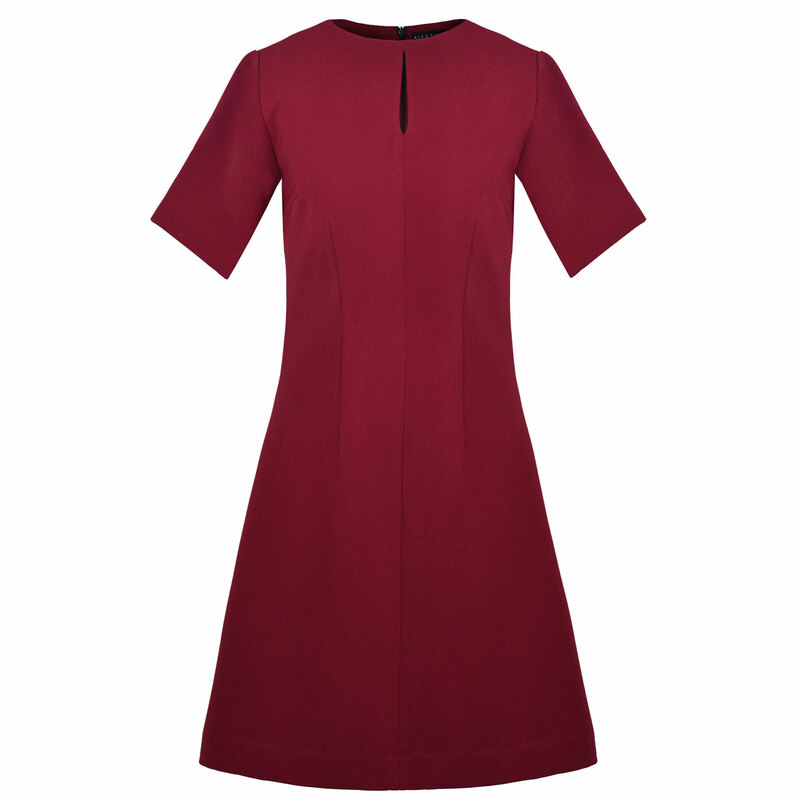 This dress features a concealed zip to the back and stretch lining for added comfort. 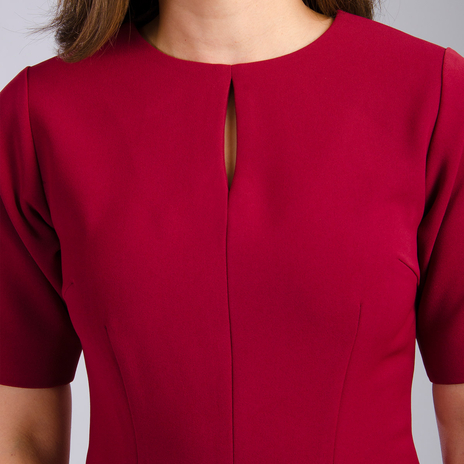 Made from crease-free fabric, the Marie in burgundy is this season's must-have hue. 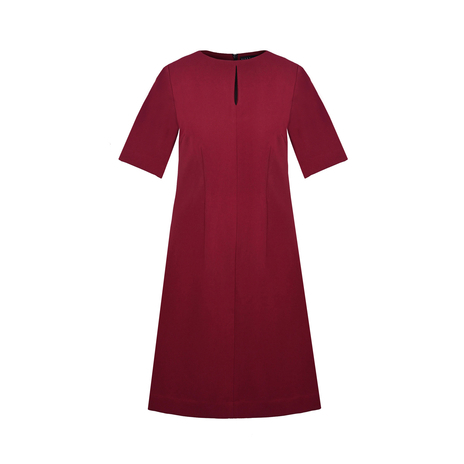 A timeless dress that looks great on pear-shaped petites. Our model is 5'3" (161cm tall) and is wearing a size 8. Model's measurements are Bust 32C, Waist 26', Hips 35'. Petite dress length from the highest point of the shoulder to hemline is 86 cm. Sleeve length is 25cm. Machine wash at 30°C with like colours, iron at a low setting, do not bleach, do not tumble dry, dry cleanable. 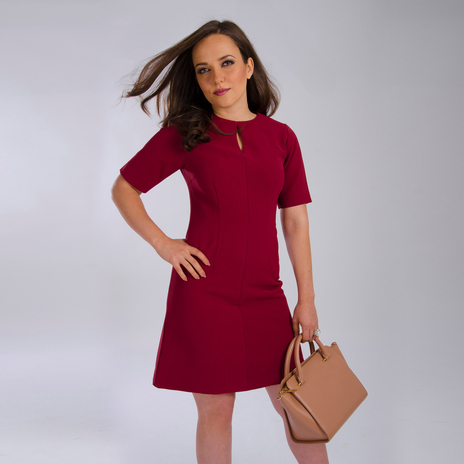 All Jeetly dresses are machine washable and contain stretch to retain shape after washing and to remain comfortable to wear all day. This dress features stretch lining for added comfort. 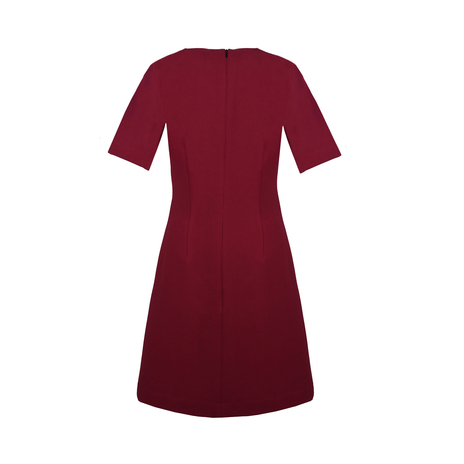 The Marie dress can be paired with dark tights and the matching Chelsea jacket in the cooler months.